Online lending platform ZipLoan, which is operated by Delhi-based Blue Jay Finlease Ltd, has raised $650,000 (around Rs 4.2 crore) in its pre-Series A funding round led by WaterBridge Ventures, a top company executive told VCCircle. “In this round, we have raised $500,000 in equity and $150,000 in debt capital,” said ZipLoan‘s co-founder Kshitij Puri. Whiteboard Capital, which is a fund floated by Freecharge founders Sandeep Tandon and Kunal Shah, and existing investor GrowX Ventures also participated in the round, Puri said. “We will use these funds to further develop our credit scoring capabilities, enhance automation in our sourcing/lending/monitoring processes, expand to new cities and strengthen our team," said another co-founder Shalabh Singhal. In October last year, the company raised an undisclosed seed round from GrowX and other angel investors, including Sunil Kalra, Murugappa Group scion Arun Venkatachalam and former Snapdeal executive Badal Malick. Since last year, ZipLoan has raised over $1 million, according to Puri. "MSMEs (micro, small and medium enterprises) are the growth engine of the Indian economy and yet credit penetration is still low, due to the high costs involved in sourcing, underwriting and collections. We were impressed by the growth and asset quality of ZipLoan," said Ravi Kaushik, partner at WaterBridge Ventures. Launched in September 2015 by Puri and Singhal, ZipLoan is a technology-enabled lending platform that provides loans to MSMEs. The startup offers loans of Rs 1 lakh to Rs 5 lakh over a period of 6-24 months. The firm has developed an automated credit engine called ZipScore which helps it assess the creditworthiness of prospective customers within a few minutes, it claims. ZipLoan has also partnered with banks, including IDFC Bank, for co-lending using its tech platform. It targets small business owners who are usually ignored by large financial institutions due to the limited scale of operations. "Over the last year, we have built a solid base of consumers, sourcing channels, technology stack and a strong team,” said Singhal. Of late, the fintech space has been the darling of investors, who are writing cheques generously to place their bets on the sunshine sector. This week, London- and India-based Heathwalk Advisors Pvt. Ltd, which runs financial technology platform MaxMyWealth, raised an undisclosed amount from UK-based Global Advisors (Jersey) Ltd and Horseferry. Mobile payments startup Ftcash also recently raised an undisclosed amount in pre-Series A funding from Silicon Valley-based early-stage venture fund 500 Startups and existing investor IvyCap Ventures. In May, Mumbai-based Paysense Services India Pvt. Ltd, which offers personal loans, raised $5.3 million (Rs 34 crore) in Series A funding led by Singapore-based venture capital firm Jungle Ventures. 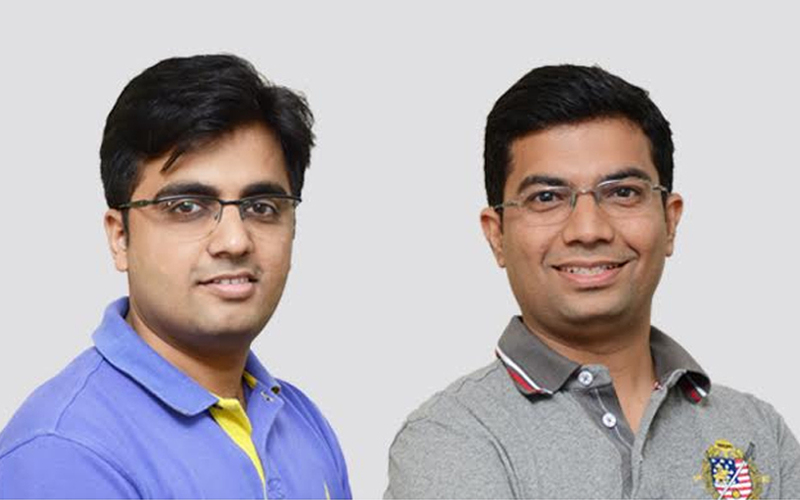 In the same month, Mumbai-based online insurance startup Acko General Insurance Co. Ltd raised $30 million (Rs 195 crore) in seed funding from a clutch of investors including SAIF Partners and Accel Partners. A recent VCCircle analysis showed that since the beginning of the year, at least 25 fin-tech startups have raised venture funding. The inflows have been well-distributed across the broader fintech space—while digital wallet firm Paytm may have got the biggest slice of the funding pie, raising a whopping $1.4 billion from SoftBank, online lending and payment gateway startups also elicited considerable interest from investors.